Our pediatricians are all board-certified in pediatrics. Dr. Kim enjoys sharing knowledge and information with parents that help them to raise healthy kids. He also enjoys building ongoing relationships with his patients and seeing those kids grow and develop through the years. 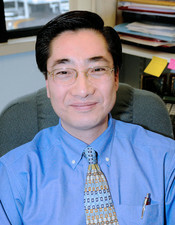 Dr. Kim graduated from Colgate University in New York and Rush Medical College in Chicago in 1995, and he completed his pediatric residency at Rush University Medical Center in 1998. He is a member of the American Academy of Pediatrics. Dr. Kim came to the United States from Korea as a teenager and is fluent in Korean and English. He has two adult sons. 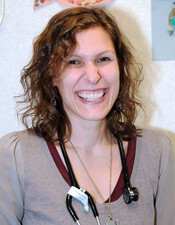 Dr. Alison takes pride in providing warm, loving care to children and their families. She received her undergraduate degree from Princeton University and her medical degree from Albert Einstein College of Medicine. She completed her pediatric residency at the University of Chicago in 2004. Before joining the practice, Dr. Alison worked with hospitalized children. She is now eager to maintain ongoing relationships with her patients and their families and be a part of their lives for many years. Dr. Alison has three adorable children of her own and understands the intricacies, joys (and challenges!) of motherhood.